We talked to people who call wherever they want to pull up and park home—to learn how they do it, what they dream of and how you can join them. Age in Road Trips: 48. Been road tripping in Colorado and the Rockies for over two decades. Road Trip Rig: I gave up a car three and a half years ago, so these days, I ride with whoever has an open seat, mind and calendar. Project you are working on from the road this summer? 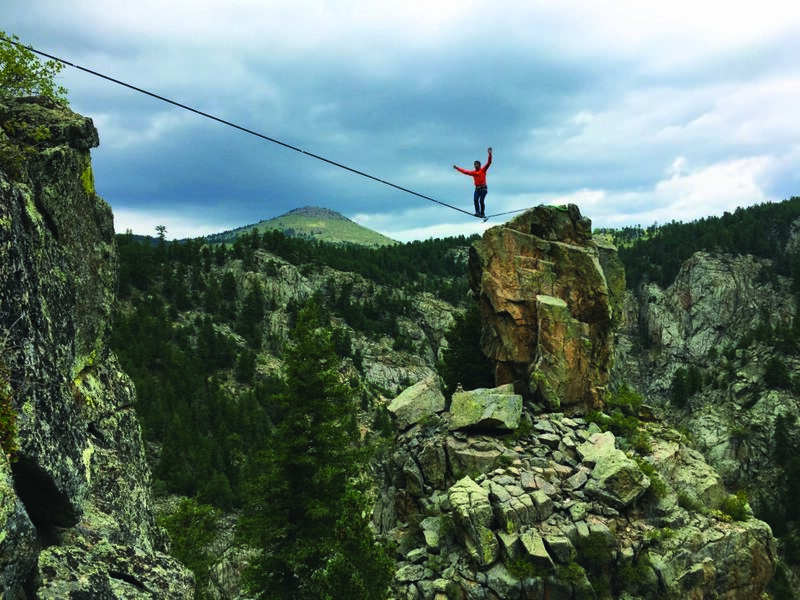 : I am always trying to explore the Rocky Mountains and I have deep adventure roots in Colorado, including my intro to waterfall and alpine ice climbing, alpine trad climbing, alpine whitewater kayaking and alpine -own living in Estes Park and Telluride. I water those roots by exploring new corners of the state and by rediscovering the same beautiful places with a new eye. Favorite Rocky Mountain Road Trip: This is a multi-tool trip, so prepare the quiver to give ‘er when on the road. Required: white water kayak, mountain bike, trad and sport climbing rack, dirtbag-dress for a spring road trip to the Telluride Mountain Film Festival. Day 1: Hit up the Golden Whitewater Play Park, then sport climb in Clear Creek Canyon. Mountain bike in Eagle County. Day 2: Kayak the Shoshone section of the Colorado River (with an additional stop at the Glenwood Springs Whitewater Play Park). Mountain bike in Fruita. Trad and sport climb in Unaweep Canyon. Day 3: Paddle the Montrose Whitewater Play Park, trad climb the Black Canyon of the Gunnison, mountain bike Ridgway. Days 4, 5 and 6: Ignite your brain at the Mountain Film Festival in Telluride, while at the same time igniting your body: Try Chuck Korger’s mega classic via ferrata, trad climb at Cracked Canyon and Ophir Wall and mountain bike in the Telluride area with a special bonus white kayak session on the Stoner Stampede of the Dolores River. It takes a unique adventure appetite to participate in a daily dirtbag triathlon, so some days just hit only two or even one activities and supplement the day with reading books, writing gratitude notes—or napping. Best Road Trip of Your Life: I sailed the Baltic Sea on a 60-foot boat with my band (I played drums). We would stop at all the major ports, many of them capital cities, and play music on the deck of the boat as part of a traveling exchange of music and culture and to promote conservation and environmental solutions. I can see/feel it now: Oslo, Stockholm, Helsinki, St. Petersburg, Tallinn, Riga, Klaipeda, Kaliningrad, Gdansk, Rostock, Copenhagen, Amsterdam, Dunkirk, London. I am currently taking applications for a repeat—let’s go. Road Trip Tips: Since I am from Philly, I like to quote the city’s most sage son, Benjamin Franklin: “If you fail to plan, you are planning to fail.” Make a plan, pack the rig appropriately and, of course, be flexible when the plan changes. 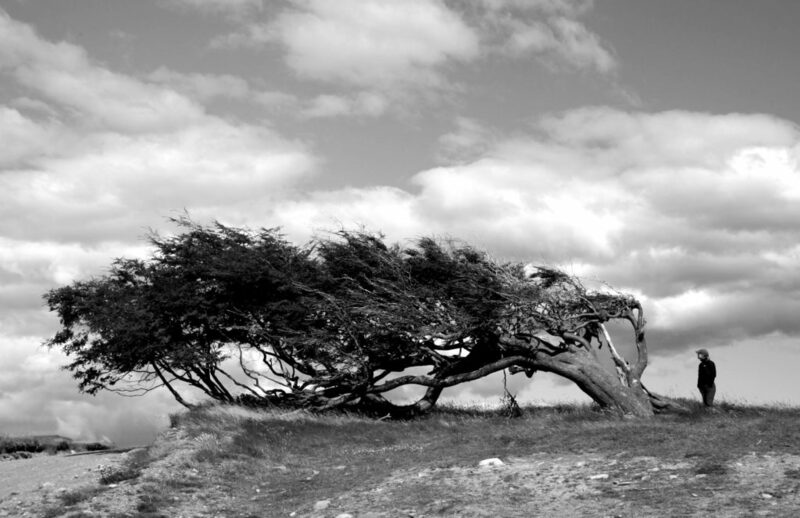 Pay attention to your intuition, the unexpected turns, twists and opportunities. Your gut tends to inform you like a True North magnet. Check ’em out and cross ’em off, but if you try just as hard to simply be in the bucket, then there is no need to keep a list. Age in Road Trips: Been road tripping in Colorado since college, so 20-plus years now. Road Trip Rig: Started with a 2-door Jeep TJ 2000, now a 2009 Jeep Rubicon, 6-inch lift, 37-inch tires. Currently on my third iteration of my overland camping trailer, which holds my custom kitchen setup and iKamper rooftop tent. Project you are working on from the road this summer? Testting the gear that I now sell…you have to use the stuff to know how it works and functions in the real world. I only sell things that I believe in and that I know are quality products. My wife and two kids and I are going on a two-week road trip this summer to the Redwoods, Southern Oregon coast, Crater Lake, and we’ll be using my 2017 Tacoma TRD Offroad truck with an iKamper Skycamp on a Rhino Rack Pioneer Platform bed rack and a prototype kitchen setup I am working on. Favorite Rocky Mountain Road Trip: Conifer to Buena Vista, over Independence pass; Aspen to Carbondale, over McClure Pass; Marble and partway up Sheffield Pass, then back down and over Kebler Pass, camping in a huge old aspen forest. Hit Crested Butte for the Fourth of July; then back via Gunnison, Monarch Pass, Salida, BV, back to Conifer. Best Road Trip of Your Life: As a newly married couple, my wife and I took the trip of a lifetime. We left about two weeks after getting married in Vail in 2005 and spent three months in Thailand, Singapore, China, and Nepal at the start of the trip. Then we bought a VW Bug in Santiago, Chile (it took two weeks of dealing with paperwork and my less than perfect Spanish). We drove over to Mendoza, Argentina, and down the Andes, hitting Bariloche, Patagonia, Chalten, Calafate, Torres del Paine, Cerro Torre and ending in Ushuaia. Then, we drove back up the coast to Buenos Aires, west to Mendoza. We ended the trip by returning to Santiago to sell the car. We camped the entire way in a two-person tent and lived out of one suitcase with a tiny backpacking stove. We survived on amazing wine and great steaks. Road Trip Tips: Skip the bagged ice and freeze one-gallon water jugs. Block ice lasts longer and when it melts you’ve got extra drinking water. Camping with kids is the best family activity you can do. You create quality time, bond and there’s no time to sit around staring at screens all day or complain about doing chores. Start the kids early and they grow up loving it—and knowing no different. They are adaptable and excited about life on the road if you give them the chance. Lastly, most of what you bring camping is cooking or sleeping related. Age in Road Trips: 27. I have been in Colorado for six years. Road Trip Rig: A 2017, two-wheel-drive, 12-foot Mercedes Sprinter, complete with solar, a diesel furnace, a fridge, an induction stove, a 20-gallon water tank and queen bed. Project you are working on from the road this summer? : A new highly modular, customizable van design capable of carrying up to eight people, and sleeping four. It can be stripped down to an empty cargo van in less than 30 minutes. Favorite Rocky Mountain Road Trip: The backcountry discovery route from Steamboat to Durango that’s generally done on a motorcycle. You travel over a dozen mountain passes and you get to camp out in some of the most spectacular locations in the state. Best Road Trip of Your Life: The Western Loop: We traveled for three months through Utah, Nevada, California, Oregon, Washington, Canada, Wyoming and back to Colorado. Road Trip Tips: Carry a water key, a small square key used on commercial water spigots. It’s hard to find water fill-ups for vans and RVs, so having the key allows you to get water from more sources. A gym membership to a large national chain can be really helpful to gain access to showers. Age in Road Trips: 32. Three years roadtripping. Road Trip Rig: 2011 Nissan Rogue, 153,000 miles — converted bed with storage in the back. Project you are working on from the road this summer? Visiting more National Parks! I’ve seen 36 in the U.S. and five in Canada solo so far! Favorite Rocky Mountain Road Trip: The drive from Denver to Telluride, along 285, stop in Buena Vista or Salida, then over to 50 and Blue Mesa Reservoir with a detour to Black Canyon of the Gunnison National Park. Highway 550 is incredible. Drive down through Ridgway, detours over to Ouray and Silverton, then head back through Telluride. The views are jaw-dropping the entire trip. Best Road Trip of Your Life: Last summer, I spent a few weeks on the road driving through Montana and Glacier National Park, and on to British Columbia and Alberta for stops at five parks there (Banff, Jasper, Kootenay, Yoho and Waterton Lakes). Then I went back down through Yellowstone and Grand Teton (my favorite park so far). I camped in my car alone, hiked, explored and loved every second of it. Road Trip Tips: Have a plan, but keep it loose. I always have places I want to go, but I give myself permission to stay longer or leave early if I’m not feeling it. The road is full of possibilities. If you are traveling alone, be sure to check in every day or so. I share my location with a couple people on my phone at all times. This gives everyone peace of mind. If you’re road tripping in the West, a cell phone booster is another practical piece of gear for peace of mind. I have an external antenna on my car that connects inside and boosts my signal when I’m driving in the great wide open. Project you are working on from the road this summer? : I just returned from a two week trip through Idaho, Utah and Colorado shooting for a few projects. It’s still TBD what my next trip will be, but it’s likely not far off! Favorite Rocky Mountain Road Trip: My favorite trip is a big loop that starts on the Front Range then heads down through Leadville. Camp out on Independence Pass, breeze through Aspen and then stop by Rifle for a few pitches before dropping south into the San Juans for days of exploring, climbing, running and mountain biking. I come back over Monarch (so I have to stop and ride the Monarch Crest Trail), and for added points I hit up Kenosha Pass on the way home for another long ride. This loop links some of my favorite Colorado hot spots all together, and I get to bring all my favorite toys—climbing, running, mountain biking gear make for a packed car and a really good time. 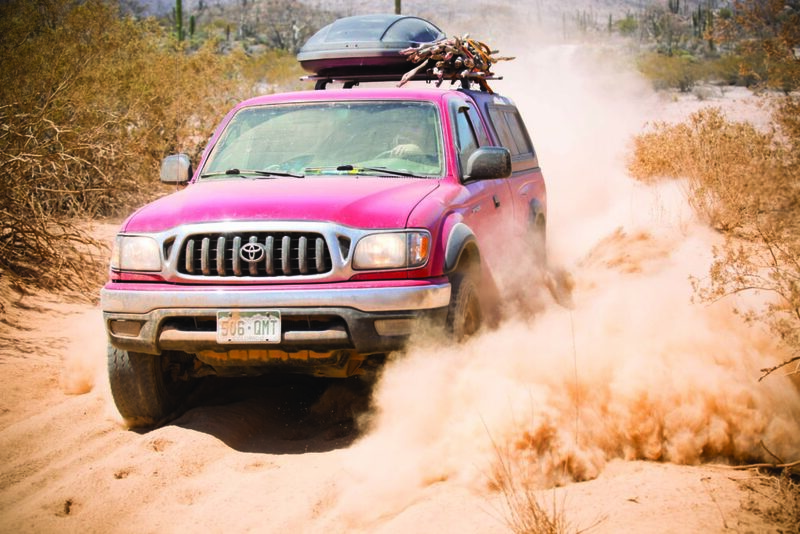 Best Road Trip of Your Life: A couple of years ago, five friends and I headed out from Boulder on an overland journey down the Baja Peninsula. We didn’t have a set plan, and spent 10 days wandering in Mexico, starting on the sea of Cortez and coming back on the Pacific side. Road Trip Tips: Pack snacks! I always make sure to load up a cooler filled with veggies and blueberries and other healthy things like hummus. Over the years, I’ve learned that I feel so much better when reaching my destination if I refrain from gas station food (though the occasional roadside burrito is good for the belly and soul!). We’ve logged over 10 months living in a metal box on wheels — what a life changer. People peek inside our van and we can see their brain waves going, “How do they do this?” The struggles of nights without dinner, sleeping on a layer of grime, and being eaten alive by bugs is never easy. But the rewards are high, the bug bites heal, and you’re left with an alternative lifestyle curated for finding adventure on every turn. We aren’t experts, but our hundreds of nights under the stars have offered some insight. Here are some tips for those just starting out on their #vanjourney. Never underestimate a warm meal and a cold shower. Living in a van boils down to meeting your basic needs. If you’re looking for a campsite in the evening, pull over and make dinner before the sun sets. Don’t bother trying to find a level site, unpack in the dark, and then start dinner. Not doing so is a recipe for disaster and a bad dinner. Once you’re fed, force yourself to use your solar shower. The feeling of your skin on sheets without sunscreen, sweat, and road dirt will get you a much better night’s sleep. Stay organized. Stay minimal. Every object in a van is placed behind something else, nothing is easily retrieved. For that reason, everything should have at least two uses. Your mouth is a dishwasher, your clothes are a napkin, the ground is a desk, and the dashboard is an underwear drying rack. On that note, a public sink can also be a shower. Have you heard the quote “every zoo is a petting zoo, if you’re brave enough”? Appreciate brushing your teeth without a mirror. Life on the road has forced us to be more forgiving of ourselves and everyone we meet along the way. When you strip yourself of a daily routine and stare at vast landscapes instead of tired eyes in the mirror, you can float through the day with a sense of lightness. Revel in that lightness, because each day will also present seemingly insurmountable challenges. Allow extra time. Everything takes longer than you think it will. Five-hour drive? Assume seven. Quick grocery run? Find yourself wandering around looking at decorated cakes. 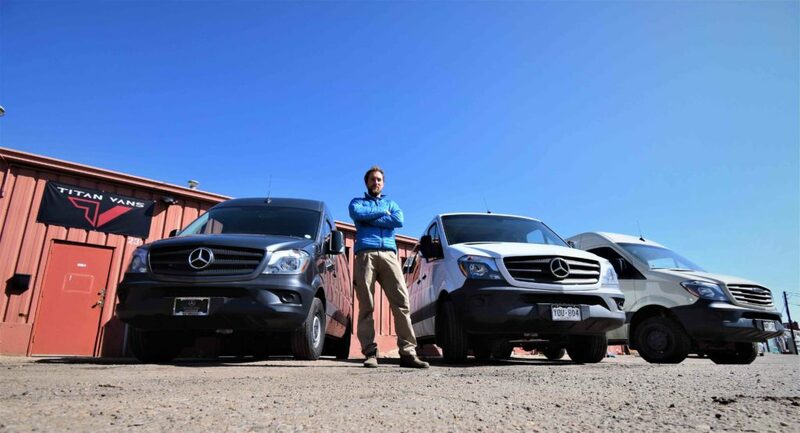 Every task needs wiggle room, especially if it involves meeting someone from the real world; their cars are reliable, showers easily found, and phones charged every night. There will be bugs. Spiders fall out of the sky. This actually happens. There are bugs everywhere, and if you live in a van, they are on you right now. The photos of vans with the doors splayed open in the evening, recessed light emanating from their hardwood interior—those aren’t real. Make bug nets, use them, and say goodbye to the glamour. While you’re trapped behind those bug nets, don’t forget to tick check every warm body in the vehicle. Humans, dogs, bunnies if that’s your thing—check em’ all! Got a van you need built out to be truly roadworthy this summer? 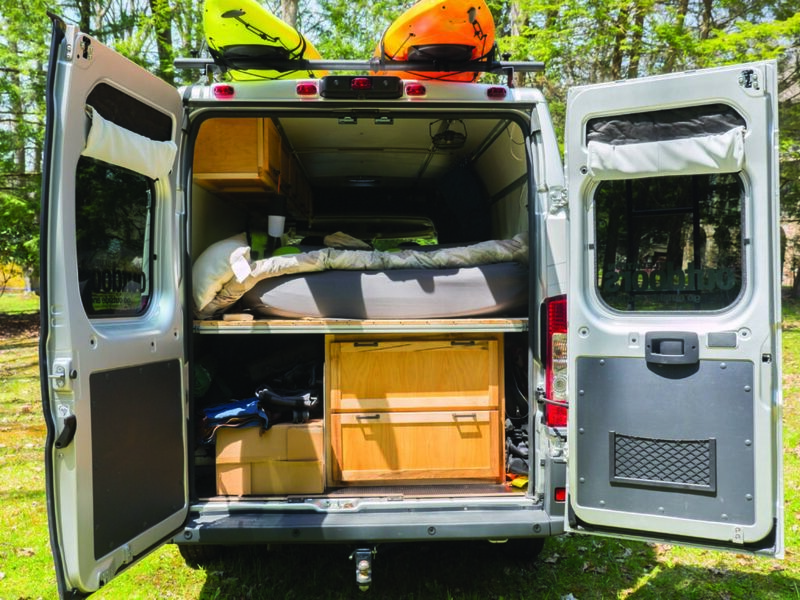 Check out our vanlife-proven picks to elevate your ride. 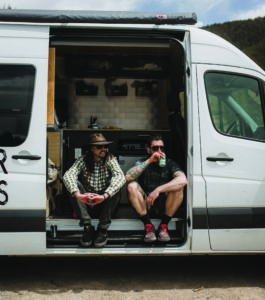 —Aaron H. Bible is a longtime contributing editor for Elevation Outdoors and part-time van dweller. Follow his adventures at 9,000 feet and all around the globe on Instagram at @ahbible.